Koulouri. What’s for breakfast on many street corners in Athens. Like a soft pretzel but NOT. Like a regular pretzel but NOT. Like a round breadstick but NOT. Like a KOULOURI, exactly! Delicious! View eating breakfast in the hotel rooftop restaurant was not awful! 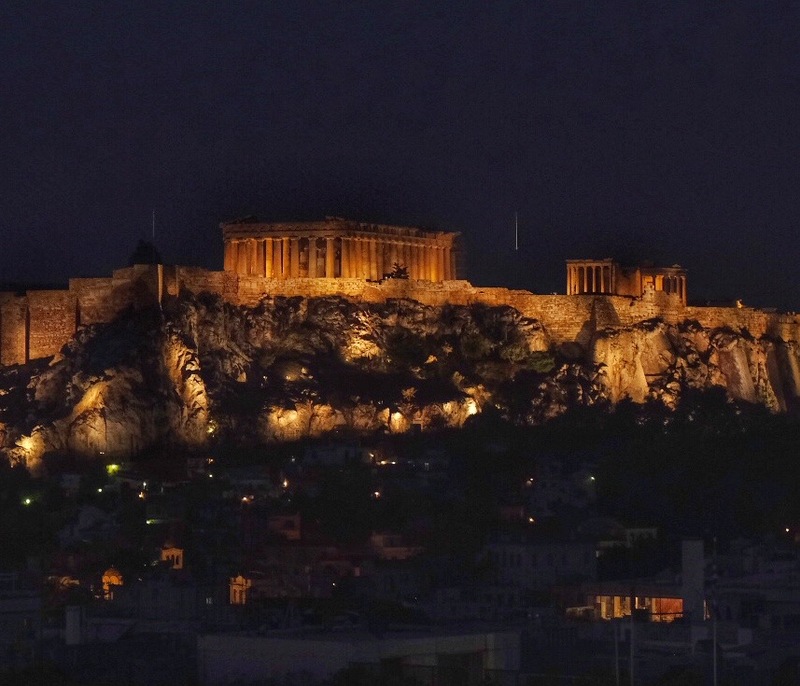 Atop the acropolis in Athens sits the spectacular Parthenon. We went up to the Grande Bretagne Rooftop Garden Restaurant for an early breakfast…because that’s what jet lag does…and we were greeted with this spectacular view.